It is more than crystal clear to all decent people that Magistrate David Simumba is a paid mercenary hired to punish Hakainde Hichilema. 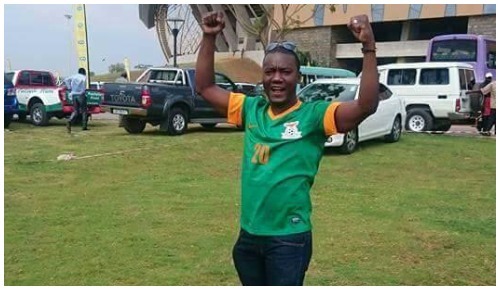 But despite knowing that Simusamba is a PF cadre, we were still expecting at least an irreducible minimum of professionalism from him since he deals with matters of life and death. We have unfortunately come to the inevitable conclusion that Simusamba is not fit to be a magistrate. His incompetence, corruption, sheer laziness and pure disregard for human rights makes him an improper person to be employed in the judiciary. After more than three weeks of blatant abuse of his authority by making unreasonable adjournments he, finally pitches up in court late Friday afternoon and what does he say? That the defence must seek judicial review on whether the certificate of committal to the High Court issued by the DPP’s office is valid. Simusamba added that that if the defence does not obtain relief from the High Court within in 15 days, he would proceed to commit the accused persons using the same committal certificate which he said was defective. We find Simusamba’s ruling contradictory, stupid and abusive. Simusamba simply wants to keep HH in jail as that is what he has been paid to do. If he wants HH to go to the High Court to determine the validity of the certificate of committal, why did the same Simusamb reject HH’s application to refer the very issue of the certificate to the High Court? Why did he decide to ‘advise’ the accused person to seek judicial review? Did anyone ask for judicial review? Is that what he agreed with Lungu and Gregory Phiri at state house a few minutes before he dashed to court? What we know and this is correct, is that, when a magistrate is not sure of an issue on a point of law, he must refer the matter to the High Court for direction. That is exactly what the Subordinate Courts (Amendment) Act, Cap 28, section 30 says. Do these people even read? This article above simply means that when the magistrate is ‘stuck’, the way Simusamba was on the issue of the certificate of committal, he, and not any one else, must write to the High court to seek guidance. So Simusamba simply needed to write to the High Court seeking guidance on whether state advocates can or can not exercise the power of the DPP. This is a question of law. But instead, he decides to ‘advise’ the accused person to seek judicial review. In essence, he is asking the accused persons to do his job. Judicial review is the power of the High Court to determine the legality of decisions, orders or omissions of persons or bodies performing public functions. Though this sounds nice, judicial review is not a right, it is discretionary, meaning that if the judge has a running stomach that day, or has been bribed by the PF, he can simply tell you to get lost. The other important difference in the two methods is that it can take even up to six months for the the judicial review process to be concluded. But if Simusamba writes to the High Court for guidance, the High Court can respond within a few days. But this is clearly not in the best interest of PF so Simusamba wouldn’t use it. He would rather use the most cumbersome, inconvenient and harmful method to the accused persons. It is people like Simusamba who cause fighting in society.